Sanaa (AFP) - Thousands of armed Shiite rebels in Yemen strengthened their positions in the capital Sanaa on Wednesday as they pressed their campaign to force the government to resign, AFP correspondents witnessed. 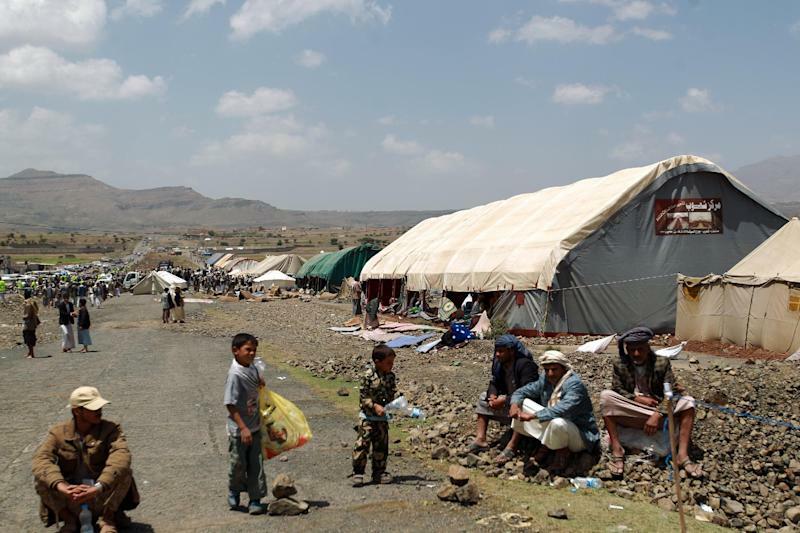 The rebels have been fighting an off-conflict with government troops in the northern mountains for the past decade but analysts warned their bid for a greater share of power in a promised new federal Yemen was creating a potentially explosive situation. The Zaidi Shiites are the minority community in mainly Sunni Yemen but they form the majority in the northern highlands, including the Sanaa region. Rebel activists used cranes to build walls around protest camps across the capital, where protest leaders have given the government a deadline of Friday to meet their demands. In a bid to stem the crisis, President Abd Rabbo Mansour Hadi called for dialogue with the rebels and invited representatives to join a "unity government". But the protests, fuelled by a steep increase in petrol prices, are increasing in momentum with demonstrators showing no signs of backing down. 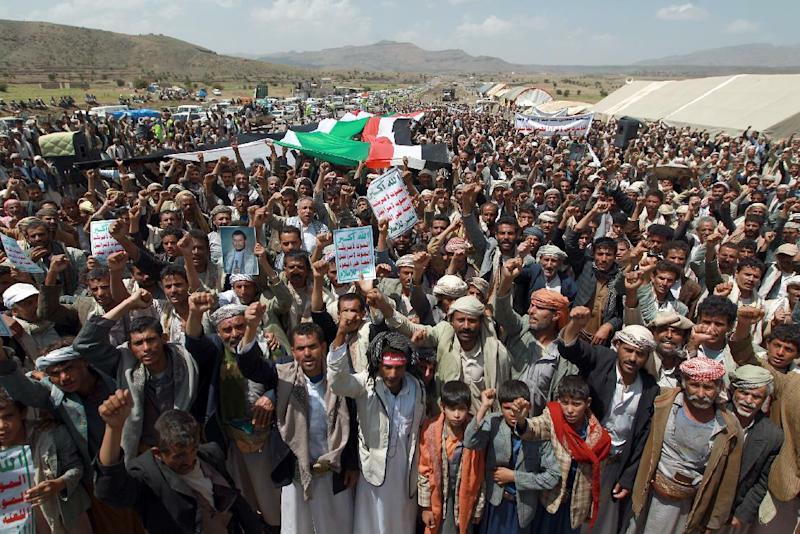 Rebel commander Abdulmalik al-Huthi said on Sunday that the authorities must address protesters' grievances by the end of the week or additional forms of "legitimate action" would take place. On Wednesday, men armed with Kalashnikovs manned checkpoints around the protest camps, while Yemeni military aircraft circled in the skies of the capital. On the ground, there was little visible sign of a police or military presence near the makeshift protest sites. "Our actions are peaceful but if the activists are attacked we will cut the hand of the aggressor," said Abu Ali al-Asdi, a spokesman for the demonstrators. "The resignation of the government is a popular demand and we are against all forms of corruption," he told AFP at a protest camp in west Sanaa. There was also tension in the south of the capital where hundreds of armed men had built a vast encampment close to the main road linking Sanaa to the south. "The government will fall on Saturday," declared Mohamed al-Hojari, an armed rebel stationed on the edge of the camp, where vehicles continued to bring protesters. Concerned by the gravity of the situation, President Hadi held a meeting with representatives from political parties, the army, and civil bodies who agreed the rebels latest actions were "unacceptable", his adviser Fares al-Saqqaf said. A delegation is due to meet the rebels' leader Huthi in his northern fiefdom on Thursday when they will deliver a letter "inviting dialogue and encouraging them to join a unity government". Yemen has been locked in a protracted transition since longtime strongman Ali Abdullah Saleh was forced from power in February 2012 following a deadly uprising the previous year. The Zaidi rebels, known as Huthis from the name of their leading family, are strongly opposed to the government's plans for a six-region federation, demanding a single region for the northern highlands and a bigger share of power in the federal government. "The Huthis are capitalising on widespread frustration with the government and the recent rise in fuel prices to rally support and extract political concessions," said April Longley Alley, a Yemen specialist with the International Crisis Group. "What is happening now appears to be increasingly dangerous political bargaining as part of the Huthis' bid to become a dominant political force in the north and in the national government," she said. The rebels control Saada province in the far north and parts of several neighbouring provinces. Rebel forces reached the outskirts of Sanaa in July after seizing the city of Amran to its north, although they later agreed to pull back.